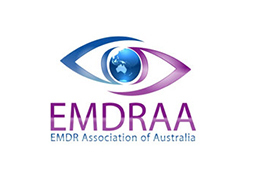 is fully accredited by the EMDR Association of Australia. This Comprehensive EMDR training consists of 3 parts: Didactic instruction and Experiential Practicum webinars, each having Introductory and Advanced components, and 10 hours Case Consultation. The didactic content and the experiential exercises are the same as my traditional face-to-face workshop training. The difference is that they are delivered and supervised over the Internet. The content and hours of this training far exceeds the curriculum requirements of EMDR Assn of Australia and the EMDR International Association. The Didactic content includes readings, videos, lectures and workbook exercises. It is delivered via a Moodle site. Moodle is an online learning environment used by hundreds of thousands universities, institutions and organisations around the world, including Google, Shell, United Nations, World Vision and Buckingham Palace. You cover this material at your own pace. Regular live Q&A sessions are held via Internet so you can discuss the material with your trainer. Most people take around 15 hours to complete this material. There is optional supplementary material which could double this time. When you have completed the Introductory Didactic material you then attend the Introductory Experiential Practicums. These consist of a series of three hour webinars where you will be with your team members, in the same room. This is where, under close supervision, you practice the full range of skills required by an EMDR therapist. It includes a personal experience of EMDR. These webinars are scheduled at various times during the week and weekends, and because there is very close supervision the numbers in each are small. You team will have several times to select from. After the Introductory Practicums you start using EMDR with clients, and attend a minimum of five Case Consultation sessions where you can discuss your work and ask questions. On average, four hours of Case Consultation sessions are scheduled each week at a variety of days and times, so finding a slot isn’t difficult. During this period you work through the Advanced Didactic material, at your own pace. Regular live Q&A sessions are held via Internet so you can discuss the material with your trainer. Most people take around 10 hours to complete this material. There is optional supplementary material which could double this time. When you have completed the Advanced Didactic material and had sufficient clinical experience using EMDR with a range of clients – this takes most people around four months, you then attend a series of Advanced Experiential Practicums. These webinars are scheduled at various times during the week and weekends, and because there is very close supervision the numbers in each are small. You team will have several times to select from. Following the Advance Experiential Practicums comes more Case Consultation, a minimum of 5 hours to complete the curriculum requirement. In fact you can attend as many Case Consultation sessions as you wish for 12 months after your Advanced Practicums. In summary: Register > Introductory Didactic instruction > Introductory Practicums > Case Consultation and start Advanced Didactic instruction > Advanced Practicums > more Case Consultation. You attend the training via internet, with a webcam and microphone. For the Didactic instruction and Case Consultation components each team member may work on their own. In the Experiential Practicums all team members are in the same room, and all participate in Observer, Client and Therapist roles during the exercises, which are closely supervised. These webinars consist of a series of 3 hour meetings. They are repeated regularly so you will have some choices as to when to attend. Get together with 2 colleagues to form a team. Each person must register separately, and supply the names of their colleagues (so we can coordinate with each team).